Comcast's heart seems to be in the right place, but the implementation is irksome. Comcast’s Internet service has a bad habit of interrupting your web browsing with invasive pop-up windows. We’ve already seen the company injecting ads on public Wi-Fi hotspots, as well as notices about potential copyright violations. Now it appears some Comcast subscribers who buy their own networking equipment are seeing pop-ups asking them to upgrade their cable modems. One Comcast customer, who went by the pseudonym BB, sent the offending pop-up to Consumerist. “Our records indicate that the cable modem, which you currently use...may not be able to receive the full benefits of your Xfinity Internet service,” the pop-up reads. BB told the consumer advocacy site that the pop-ups began after numerous letters and phone calls also encouraging BB to upgrade his modem. The problem from BB’s point of view is that his modem works just fine and he hasn’t noticed any downgrading in his speed because of the older equipment. BB, a software developer, doesn’t lease his modem from Comcast, but owns his equipment. Many people choose to do this as the modems supplied for free or via lease from Internet service providers (ISPs) tend to be lower quality. Consumerist’s headline for the story suggests that Comcast is just interested in upselling new modems, but that doesn’t seem likely. A Comcast representative told PCWorld that these pop-ups and other notifications are to help customers solve security and performance issues. Older routers that are no longer receiving security updates and bug fixes can become a security hazard. 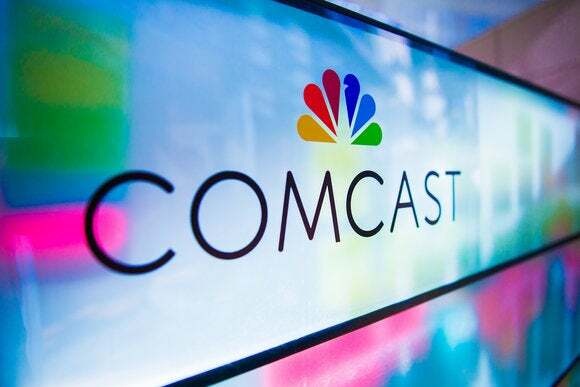 The Comcast spokesperson also pointed out that customers who lease modems from the company receive a similar notification process for upgrading outdated hardware. That sounds reasonable enough, but when BB called a Comcast representative there was no mention of any technical specifics regarding why the modem should be replaced. The only message was that BB may not be maximizing his Internet connection with his current modem. The impact on you at home: This sounds a lot like a case of overzealousness on the part of Comcast—an infamous trait for the company. But viewing this as a strategic campaign of upsells to earn more money is a stretch. First, alerting customers to aging equipment is a reasonable tactic for any customer service-based company—although the pop-ups are, as BB said, “a step too far.” Second, Comcast’s pop-up notice doesn’t link to a company retail outfit to buy a new modem but an Amazon Associates store. Comcast is certainly earning money from products bought there, but the big winner in that transaction is Amazon, not Comcast. And anyone who wants to cut Comcast out of the deal entirely can buy a modem from Comcast’s recommended list of routers at any electronics shop. The biggest offense here isn’t the upgrade push, but that you can’t shut off the pop-ups asking you to get a new modem. If you come across this issue, you may be able to prevent the pop-ups by connecting via a secure HTTPS connection to every site that supports it. This makes it harder for an ISP to inject items into your web browsing. The Electronic Frontier Foundation’s HTTPS Everywhere browser add-on can automate connecting via HTTPS for you. That said, it’s definitely offensive that the pop-ups continually bug you and require a workaround to avoid them. But just how often these pop-ups happen is unclear. The Comcast representative we talked to said there are a limited number of pop-ups but couldn’t confirm what the limit was. We hope to hear back on that. Comcast also appears reluctant to allow customers to opt-out of these kinds of notices since they can be a security issue. While BB and other Comcast customers may have no technical reason to switch modems right now, that should change in the coming years. In August, Comcast revealed plans to use the DOCSIS 3.1 cable modem standard that makes 1-gigabit speeds possible over existing cable networks. But to take advantage of those upgraded speeds you need a new DOCSIS 3.1-compatible modem. That means another trip to your local electronics store or Comcast’s Amazon Associates store.